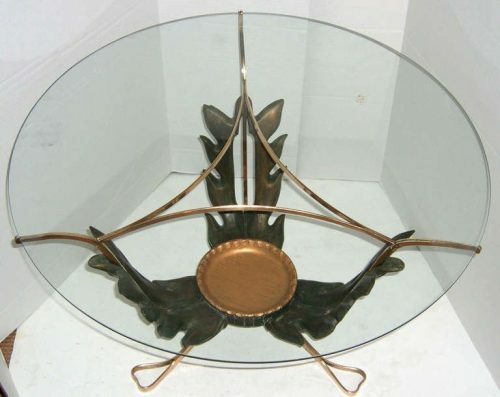 A very unique round, glass top cocktail table. 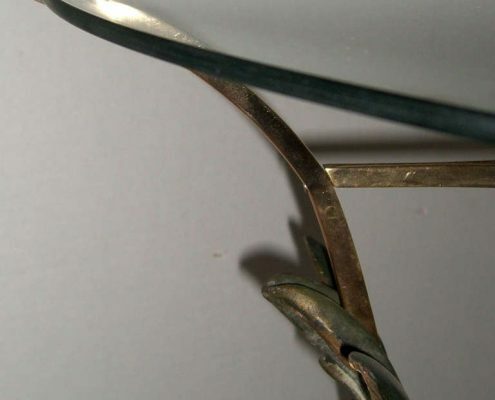 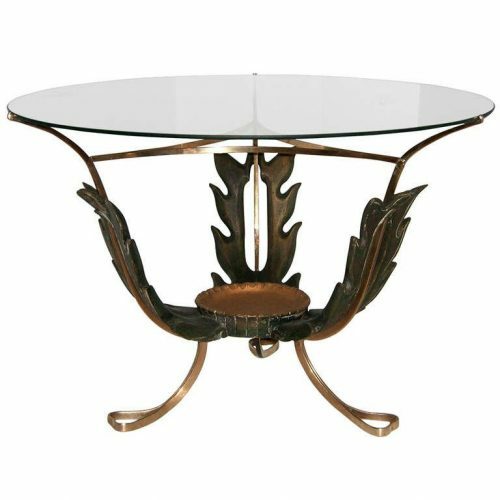 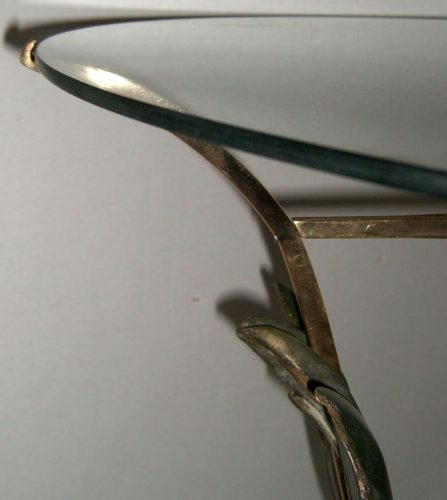 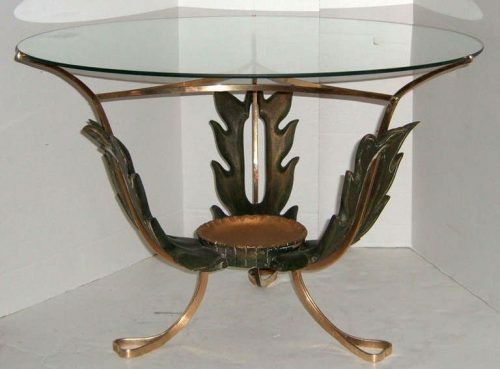 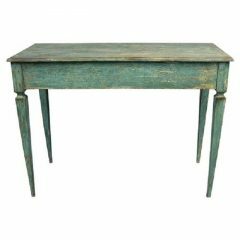 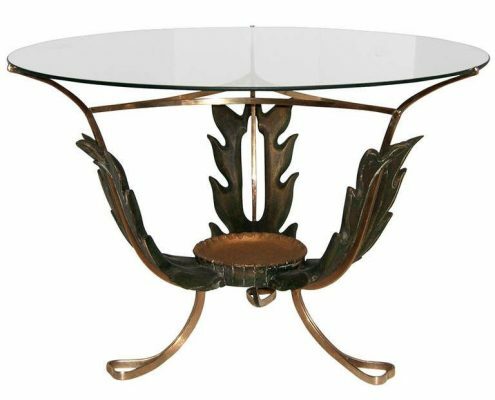 The base is comprised of solid brass and a green and giltwood leaf form center. 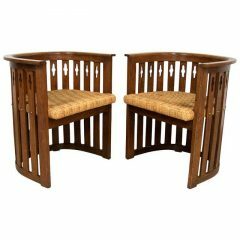 19.75 in.H x 30 in. Diam.